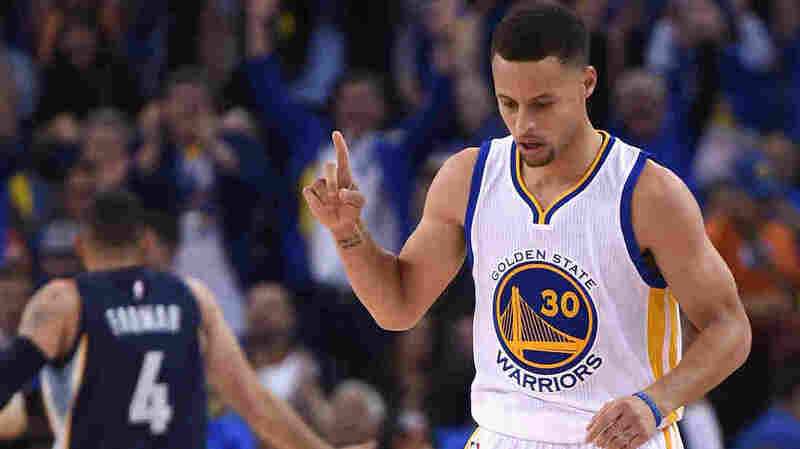 Golden State Warriors Complete Best Season In NBA's 70-Year History : The Two-Way With the team's win over the Memphis Grizzlies on Wednesday night, the Warriors finished the regular season 73-9, a game better than the 1995-1996 Chicago Bulls. Four years ago, in superstar guard Stephen Curry's injury-truncated third season, the Golden State Warriors went 23-43 and missed the playoffs by 13 games. On Wednesday night, they beat the Memphis Grizzlies 125-104 to finish their regular season 73-9, breaking the Chicago Bulls' 20-year-old NBA record for most wins in a season. And this weekend when the playoffs begin, the Warriors will start their pursuit of a second straight championship with a series against the Houston Rockets. "In real life, you've got to take good shots," Wang said. "You know, with Steph, he's, like — he could ... shoot in double teams with two guys draped all over him and still hit the shot. So that's something that we need to go back to the drawing board and see if we can get that back into our game." 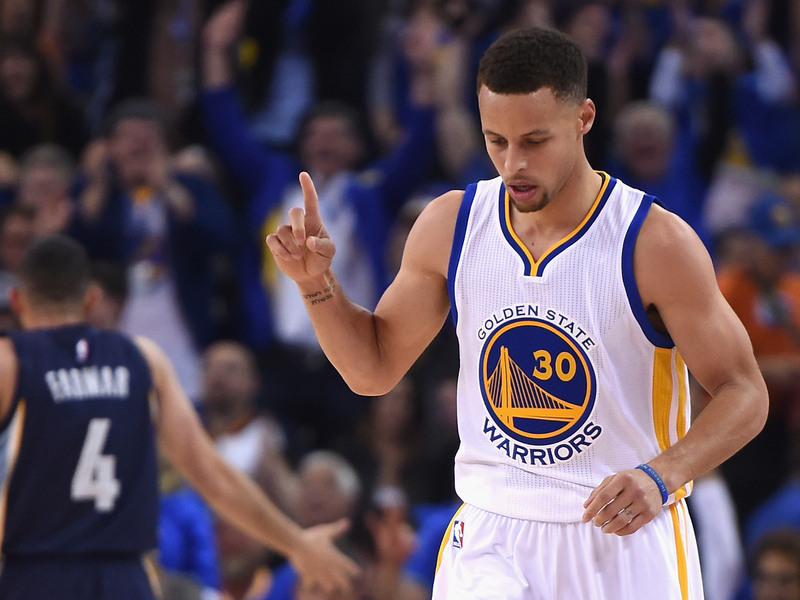 Curry led the scoring Wednesday night with 46 points, including 10-19 three-point shooting. "I just try to keep pushing myself and try not to have any limits," Curry told ESPN's Doris Burke after the game. He said his teammates, their focus and their eagerness to take on the challenge is what got the Warriors the record. Golden State is also the first NBA team to make it through a season without losing two games in a row, and without losing twice to the same team, ESPN reported. There had been some question about how aggressively the Warriors would pursue the wins record — they locked up home-court advantage through the playoffs a week ago and could have rested their players ahead of the playoffs — but the players were eager to make history. "I'm only 26. When I'm 36, I'll be looking to rest more," guard Klay Thompson told reporters after the team's April 7 win. "We have an opportunity to do something that has never been done before in history," Curry said. "So many great players have suited up since the NBA began, and for us 15 guys to say we've accomplished something as a group that's never been done before, that's remarkable. So, we earned the right to have a 48-minute game to eclipse that mark and we have to go out and finish the job and do it the right way." Warriors coach Steve Kerr was a bench player on the 1995-1996 Bulls team that previously held the record, and was asked about the two seasons after Wednesday's game. "It feels different as a coach than it did as a player," Kerr said, but he added that the two seasons went the same way — "lose one, get angry, win ten."